Chris Treuehl began playing hockey at the age of six years old. The Stoughton, WI native, told Connectstoughton.com late last year that he was hooked from the first time he stopped his brother from scoring. The first club he played for was the Madison Capitals U16 team in '09-10. During this season Truehl would post a GAA of 3.49 and a save percentage of .886. Also on that roster was current Kalamazoo Jr K-Wings D-man Brendan Vetter, and current Janesville Jets captain Conor Lemirande. The following year he returned to play for the Madison Capitals U18 team. In that '10-11 season he posted a GAA of 3.80 and a save percentage of .901 in 22 games. Truehl would not see his save percentage dip below .900 again except for one game, which we will see a little later. 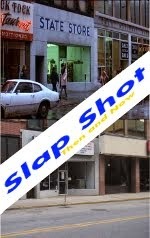 Vetter and Lemirande were also on this club. During the offseason the NAHL's Janesville Jets came calling and Tendered Truehl for the 2011-2012 season. Also tendered was long time teammate Conor Lemirande and former Johnstown Tomahawk Bobby Tritschler. But things didn't last long in Janesville for Truehl, as he only saw action in one game, in which he was on the wrong side of the score sheet. Janesville lost the game 6-2 to Springfield. Truehl faced 27 shots allowing all six goals. You can check out the box score here. For this game Truehl had a GAA of 6.00 and a save percentage of .778. As stated before, this would be the last time he had a save percentage for a team under .900%. Janesville's number one goalie that season was Tony Kujava. He would see 45 games in between the pipes for the Jets. With Kujava getting that much playing time, Truehl, requested that he be traded or release. The management agreed and released Truehl on November 11, 2011. 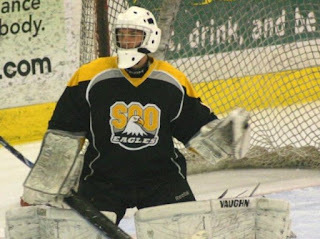 After being released he joined his new club the Soo Eagles. During the '11-12 season the Soo Eagles were participating in the NOJHL. They would move to the NAHL after the end of the season. Truehl would see action in 24 games. He went 7-1 in his first eight games and in total had a record of 15-9 with a GAA of 3.55 and a save percentage of .903. Bodhi Engum and Matthew McLaughlin. At the start of the season Engum was the Tomahawks starter with Mclaughlin being released soon after the start of the season. Engum and Truehl would battle for the number one spot. When Engum was becoming shaky in net the 'Hawks added Brennan to the goalie tandom. Truehl continued to play well, even when losing he found ways to get the games to overtime. With Brennan winning the back up roll Engum was released. Truehl has seen action in 27 games so far this year with Johnstown posting a record of 12-8-4, a GAA of 2.72 and a save percentage of 0.914. 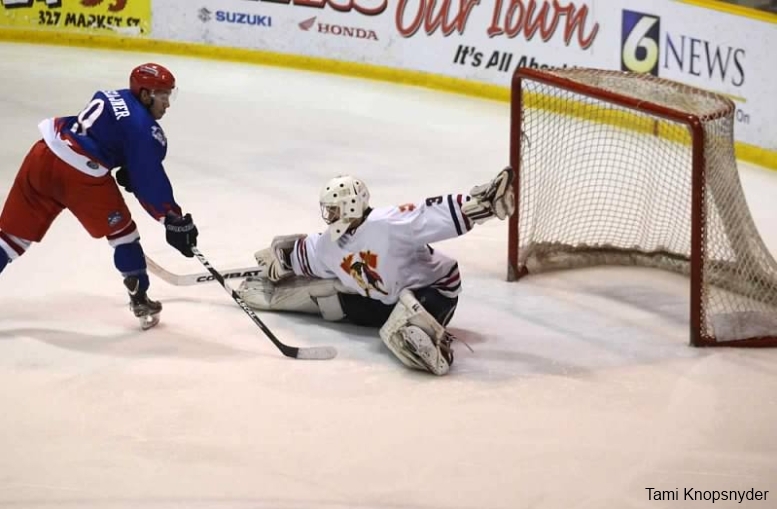 Chris Truehl also put himself in the Tomahawks history books recording the team's first win in franchise history, a shootout win over Kenai River 6-5. After the season is over with Johnstown, Truehl will take his game to the college level with Air Force Academy. His hometown has a pretty good article worth a read about Chirs making his college commitment here.